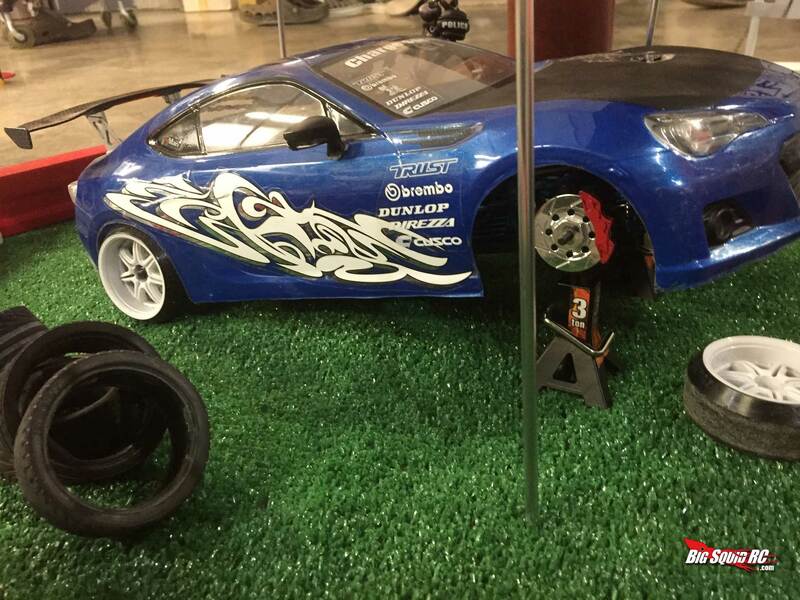 Yeah Racing – 1/10th scale adjustable jackstands « Big Squid RC – RC Car and Truck News, Reviews, Videos, and More! 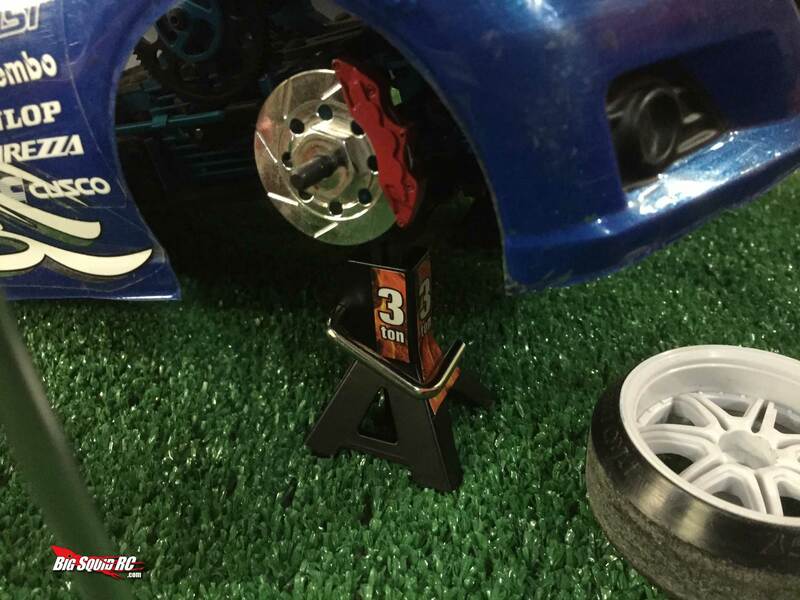 If you’re like me and always looking for scale goodies to dress up your track or photo diorama you might want to check out these scale jack stands from Yeah Racing. There seems to be a bit of confusion on the manufacturer website about weather these are 3 ton or 6 ton. I can tell you that since these things are only about 2 inches tall that they will not hold up any tons, but they sure look like the ones that will. 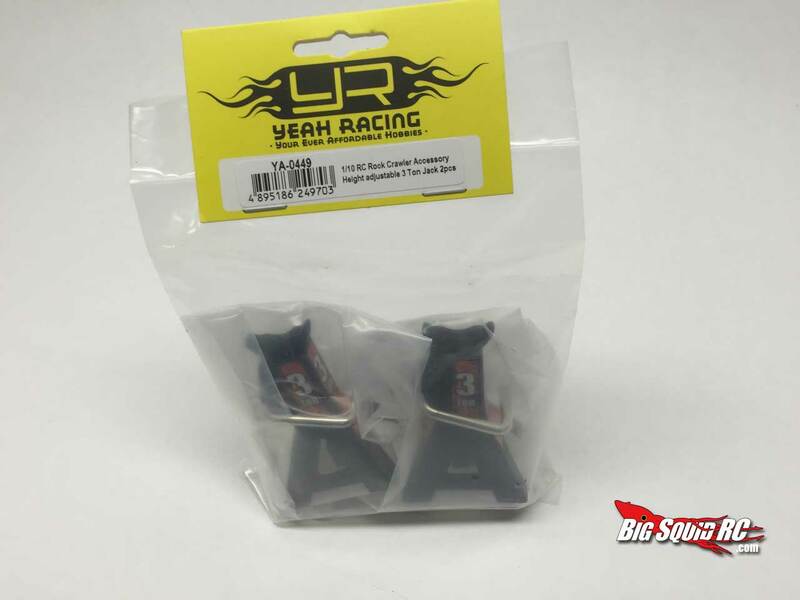 The Yeah Racing units are a hair smaller than the others on the market making a bit more to scale for RC Drift, but they will look good with about anything you put them with. 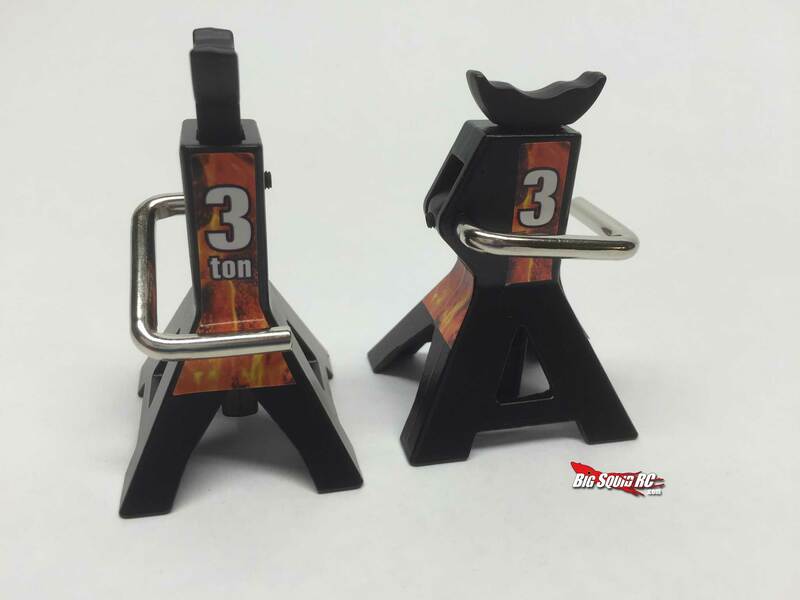 They feature adjustable risers so you can customize how high your rig sits off of the ground as well as quick release levers to drop them back down just like the real thing. Not only are they a bit smaller physically, but the price is a bit lower as well. RC Mart sells these for around the 18 dollar mark for a pair. 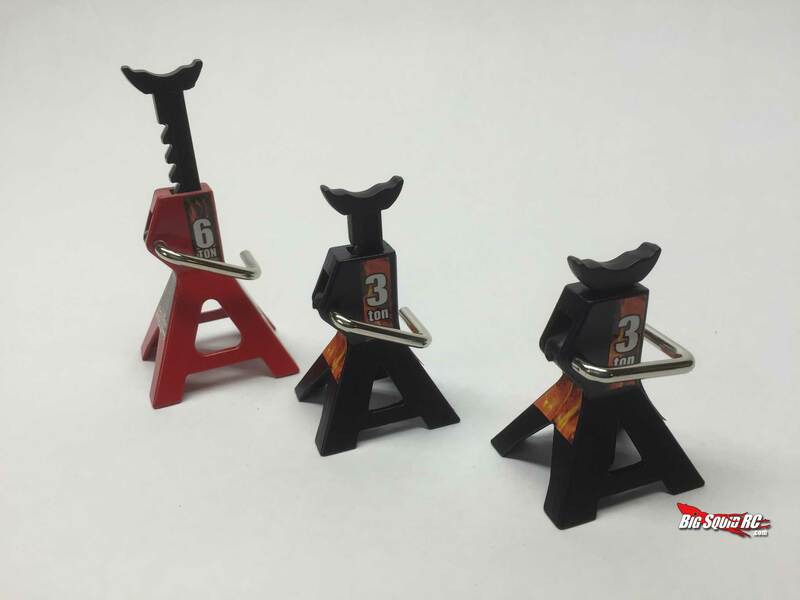 So if you’re in the market for some more dress up for that scale garage you’ve been working on these would be a pretty cool addition. 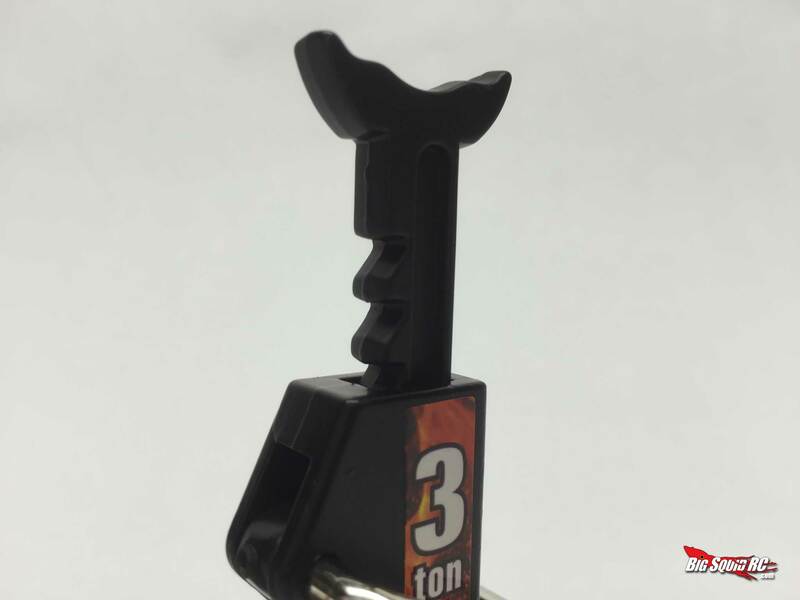 If you would like to see more details on the 1/10th scale 3 ton jack stands check out Yeah Racings website here. 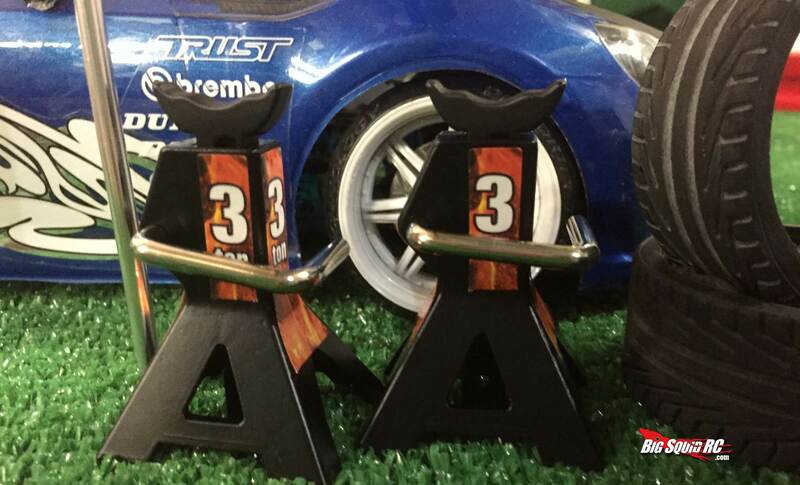 If you would like to purchase a set of the jack stands yourself you can find them on RC Mart here.